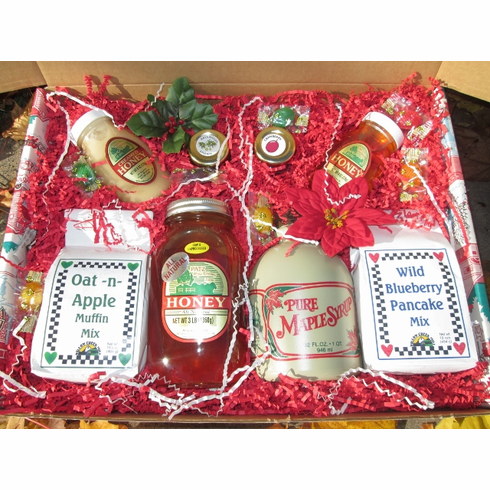 Holiday box filled with quart of clover honey, quart of maple syrup, 8 oz. creamed clover, 8 oz. raspberry flavored honey, 16 oz. wild blueberry pancake mix, 16 oz. oat-n-apple muffin mix, hex jar basswood honey, & hex jar creamed freeze-dried cranberry honey.